Carly Tex is Western Mono and an enrolled member of the North Fork Rancheria of Mono Indians. She currently resides in Fresno, California. Carly has a Bachelor’s Degree in Anthropology from Sonoma State University and a Master’s degree in Native American Linguistics and Languages from the University of Arizona, Tucson. Carly is a traditional basketweaver, cultural demonstrator, and consultant. She participates in events and gatherings where she educates the public about Western Mono culture. She also attends community language classes and works with her elders to learn, document, and maintain the Western Mono language. 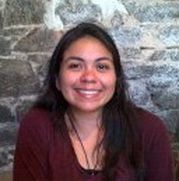 Carly provides her services as a linguistic consultant to Tribes and tribal organizations, including the Nuumu Yadoha Language Program, where she assists language groups and Tribes with language research, curriculum development, and instruction. Carly is dedicated to the revitalization, documentation, and maintenance of Indigenous languages. hi Carly, this not really a comment, a question. I am writing a short thing, I was born in Reedly, CA, my mother is Mono & Yukot, her family is the Charleys, they live in Dunlap,CA. Her father passed away, his name was Benjamin Charley, her mother Is still with us her Name is Adline Charley, my questions is, I grew up in Taos, New Mexico, but I am 1/2 Taos Pueblo and 1/2 Mono Yukot, I would really love to attend this AICLS Language is Life, I just don’t know if I am allowed to learn the mono language, is it just for enrolled members of your tribe? since I am enrolled in Taos pueblo, that was my question, being respectful to the Mono tribe of their ways. thank you for your time, hopefully I will hear a response. have a wonderful day.